who's taking eos to france? 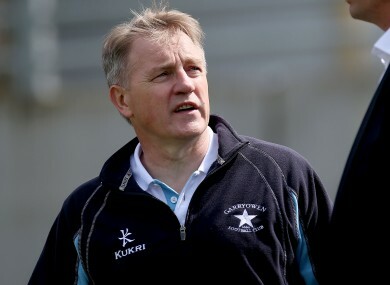 O'Sullivan had a stint in a consultancy role with Garryowen this season. EX-IRELAND COACH Eddie O’Sullivan has agreed a two-year contract with former French giants Biarritz. The Corkman has not held a full-time coaching position since leaving after a second stint with the US Eagles in 2011 and had been mooted as a sensible fit within Anthony Foley’s Munster coaching ticket. Today, however, O’Sullivan has been announced as the new head coach of Biarritz Olympique Pays Basque, with the official statement saying that he turned down an offer from Munster in favour of the move abroad. The Basque club finished rock bottom of the Top 14 this season, 21 points adrift of Perpignan and Oyonnax. As the first foreigner to coach the south-west side, O’Sullivan will be under intense pressure from president Serge Blanco to deliver a swift return to the top division. Email “Eddie O'Sullivan is a head coach again with Biarritz in Pro D2”. Feedback on “Eddie O'Sullivan is a head coach again with Biarritz in Pro D2”.